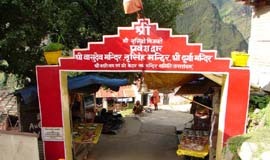 Badrinath is one of the important pilgrim centers, the opening date of the temple this year is 29 th April 2012 and is flanked by Nar-Narayan Mountain ranges. The beautiful and colorful temple of Badrinathji is on the banks of river Alkananda, established by Adi Shankaracharya and is dedicated to Lord Vishnu. The Neelkanth peak forms a splendid backdrop and opposite to the temple is holy hot water spring or Tapt kund. The temple opens every year in the month of Apr-May and closes for winters in the third week of November. 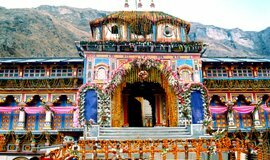 As Per local belief, present Kedarnath will disappear along with Badrinath and re-appear in Bhavishya Kedar temple at Joshimath. This temple has small shivling.Situated Near The Jyotimath, Bhavishya Kedar Is A Small Holy Temple Devoted To Lord Shiva And Goddess Parvati. 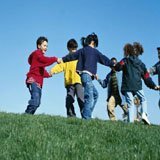 Bhavishya Kedar As The Name Suggests, Is Believed To Be The Home Of Lord Kedar In Future. Presently The Temple Has An Image Of Parvati And Shivlinga. Govindghat, located in the Chamoli district of Uttarakhand is beautifully situated at the convergence of the Rivers Alaknanda and Lakshman Ganga. 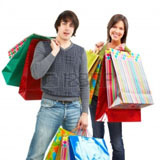 It is located at a distance of just 22 Kms from Joshimath on National Highway 58. 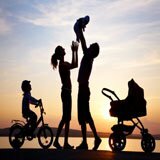 Govindghat travel guide is full of references to the exciting sceneries and serene spots in and around the area. 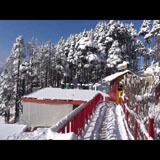 It is widely famous for the Gurudwara Hemkund Sahib and the Valley of Flowers. 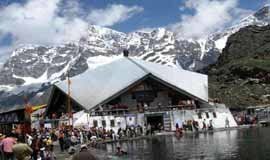 Thousands of Sikh pilgrims visit the pious Hemkund Sahib round the year. 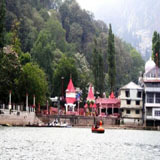 The Gurudwara is situated on the right side of the majestic River Alaknanda. 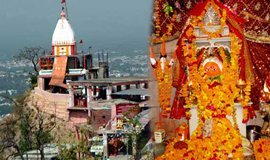 Chamolanath Temple: It is one of the most famous temples located near the Block Development Office of Chamoli. 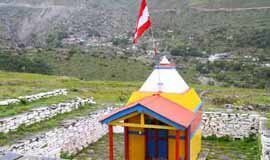 As per the legends, it is said that Chamoli is named after the Devta, Chamolanath. It is also believed that the Devta, Chamolanath�s idol emerged at this place from under the ground centuries ago. The structure of this temple is hexagonal in shape which is in contrast to the ancient idol inside. Gurudwara Sri Hemkunt Sahib Ji, is a Sikh place of worship and pilgrimage site in Chamoli district, Uttarakhand, India. It is devoted to Guru Gobind Singh Ji (1666–1708), the tenth Sikh Guru, and finds mention in Dasam Granth, a work dictated by Guruji himself. With its setting of a glacial lake surrounded by seven mountain peaks, each adorned by a Nishan Sahib on its cliff, it is according to the Survey of India located in the Himalayas at an elevation of 4,632 meters (15,197 feet). 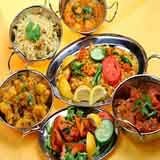 It is approached from Gobindghat on the Rishikesh-Badrinath highway. 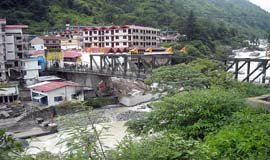 The main town near Gobindghat is Joshimath. . 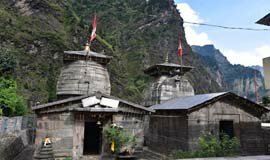 There are also numerous temples in Joshimath. The most famous are Narsingh temple. It is written in Rajatarangani that the temple of Narsingh was established in eighth century AD by King Lalitaditya Yukta Pida during his digvijayayatra. The statue of Lord Narsinghis finely carved of Shaligram and interestingly, one of the arms is thin as a needle. It is believed that the day this fine arm of the statue breaks in kalyug, the mountains of Jaya and Vijaya at Vishnuprayag will collapse and close the way to Sri Badrinath. Yogadhyan Badri, also called Yoga Badri, is located at Pandukeshwar at the elevation of 1,829 metres (6,001 ft), close to Govind Ghat and is as ancient as the main Badrinath temple. Pandukeshwar is located en route from Govind Ghat to Hanuman Chatti, 9 kilometres (5.6 mi) away from Hanuman Chatti.Legend has it that King Pandu, father of the five Pandavas - heroes of the Hindu epic Mahabharata, meditated here to god Vishnu to cleanse him of the sin of killing of two mating deer, who were ascetics in their previous lives. The Pandavas were also born here and Pandu died and attained salvation here Pandu is believed to have installed the bronze image of Vishnu in the Yogadhyan Badri shrine The image is in a meditative posture and thus the image is called Yoga-dhyan (mediative) Badri. 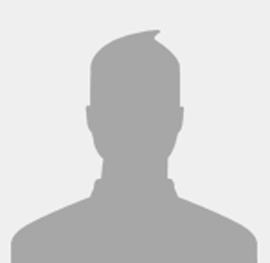 The idol is life size and has been carved from Shaligram stone. 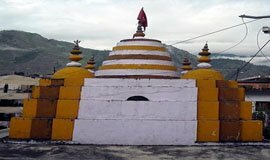 Mata Murti Temple is situated at a distance of 3 km from Badrinath on the banks of River Alaknanda. This temple is dedicated to Mata Murti, the mother of two sons Narayana and Nara.